I can see where this is going… Or at least I hope so. I very much doubt that this is why MS bought Skype they are probably looking for a way to combat Apple’s FaceTime by getting a service that has a huge installed user base. But still given the direction that MS seems to be taking the X-Box it’s a logical move. Rather than taking Sony’s strategy of making it a media centre from the get go, they have slowly added media features like Twitter, Facebook, Last FM, Sky Player etc. Skype is the next logical step. 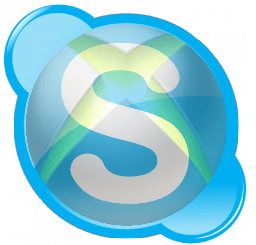 Arguably they didn’t need to buy Skype to do so, I just hope that Skype doesn’t cease to be a multi-platform tool as I use it quite a lot on my phone to call my parents because the Skype integration for Android is pretty good.